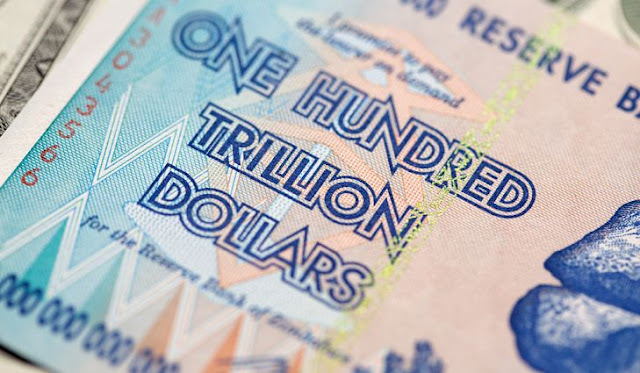 Harare - Zimbabweans should brace for the introduction of a new currency, if revelations by opposition member Tendai Biti and socialite Ace Lumumba are to be taken seriously. In a tweet that has sent citizens into confusion, former finance minister during the inclusive era, has warned people to brace for the forthcoming currency introduction. "The regime will this week introduce a new Zimbabwe currency not backed by any #reserves & without the context of structural reforms which a prerequisite of currency reform. "That move is pure undiluted #insanity. An unbanked currency is just the #bond note by another name," said the opposition leader. Biti's revelations comes after the current finance minister Mthuli Ncube has hinted the introduction of the new currency to replace the surrogate bond notes. "Over time, we will move back to a domestic currency, but that requires certain steps like fiscal consolidation around government expenditure and on the revenue front. There is no time frame, but we need these things to happen sooner than later," he said. The minister however cautioned that some steps need to be taken to achieve it. "We need certain triggers such as that we need to have a full momentary policy committee that is working and be able to move to a market-based allocation of foreign exchange. "So that those who are exporting are able to have their accounts in foreign currency and keep those as their receipts and build those blocks of reserves." Lumumba has added weight to the rumours. "I can confirm its true! New local currency on the way, there is a condition of securing reserves in place but I can confirm to you. "It’s coming. Prepare yourself, don’t panic. At best they will delay, most likely not. Let’s wait for official comms." However, Lumumba has said the government is working on securing reserves to back the currency. The controversial character once spoke of an impending coup that toppled Robert Mugabe, via a military backed ouster. Forty eight hours later, Mugabe was relegated from power and replaced by his disposed deputy Emmerson Mnangagwa. The news has ignited a flurry of statements from the sate to deny the news. "Govt has noted with concern falsehoods coming from some political quarters claiming that Zimbabwe will issue new currency next week. "This needs to be dismissed with the contempt it deserves. This has no base in fact or reality. It's unfounded Fake News," the ministry of information tweeted. Not to be outdone, the Reserve Bank of Zimbabwe (RBZ) also added their statement. "The Reserve Bank of Zimbabwe would like to urge members of the public to dismiss, with utmost contempt, claims being circulated on social media regarding the introduction of a new Zimbab we currency. The country shall continue to use the multi-currency system." "The regime has been caught with pants down. It is a fact that a new currency has been printed & that negotiations are taking place now with major holders of cash. "It is fact that Cabinet has approved new currency despite paternity fight between John (RBZ Governor) & Mutuvi (Mthuli Ncube). Now please deny this."